The Competition and Consumer Protection Commission has confirmed this week that Google have notified it of its “proposal to acquire "sole control" of South Bank House and The Warehouse, beside Google's European HQ on Barrow Street.” This will come as no surprise to many given the recent “tech boom” and rapid uptake of high end office space by U.S. tech giants across the capital. We all know what makes larger tech companies attractive tenants to Landlords – they are expanding more than conventional corporations and are flush enough to pay prime rents. But what are the key concepts that tech companies look for when searching for office space? The right work environment – 10 years ago offices looked almost identical across the globe, today tech companies’ personalities are being exhibited through their office fit-outs. Recruiting top talent in the tech sphere is highly competitive and “cool” office space now plays a vital role in luring employees. This means expensive upfront investments in fit-outs for tech companies which will hopefully pay off in the long run. Flexibility as to lease terms - this is a strong requirement for the smaller tech companies who are still at the start-up phase and are continuing to expand rapidly. They need either (a) short term leases or (b) the ability to take vast space & sublet while the expand and grow into their space. Aesthetics & Amenities – high ceilings, exposed brick & HVAC, and stained concrete are all in high demand. Tech companies want to keep their workforce happy and to do so they’re willing to invest in an attractive office in a convenient, trendy location stocked with amenities such as on-site cafés and restaurants, game rooms, gyms and even scheduled fitness classes. Idea Sharing - Centrally located, common spaces with integrated technology, ergonomic furniture, and healthy food offerings serve as a place to refresh, rewind, and ignite the sparks for the next big idea. Tech companies want to provide a campus like feel for their employees – build it and they will come. Location, Location, Location! – millennials are all about convenience and are increasingly demanding a more urban lifestyle. In order to attract the best talent tech companies need to be based in buildings close or accessible to where tech employees want to live, work, play, eat and shop. With competition for prime office space in Dublin City Centre fierce office rents are only increasing. 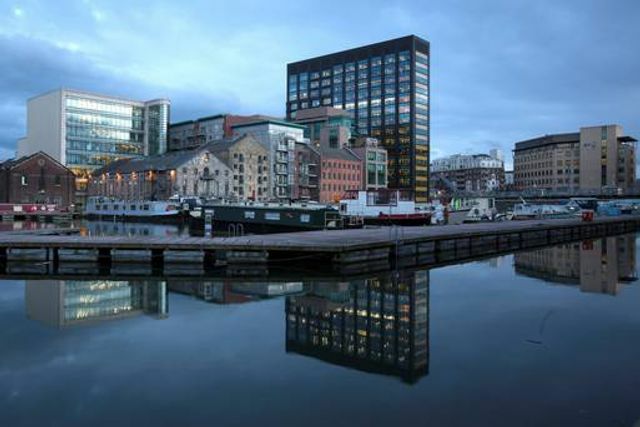 No end in sight to the growth of Google's presence in the Dublin Docklands. On the acquisition trail again. This time from Kennedy Wilson.